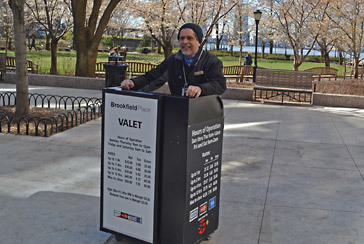 World Financial Center Station Parking - Parking.com offers several parking locations. For more information click on the map shown, daily rates are available at selected locations. World Financial Center Station is served by NJ PATH and E Line of NY Subway.